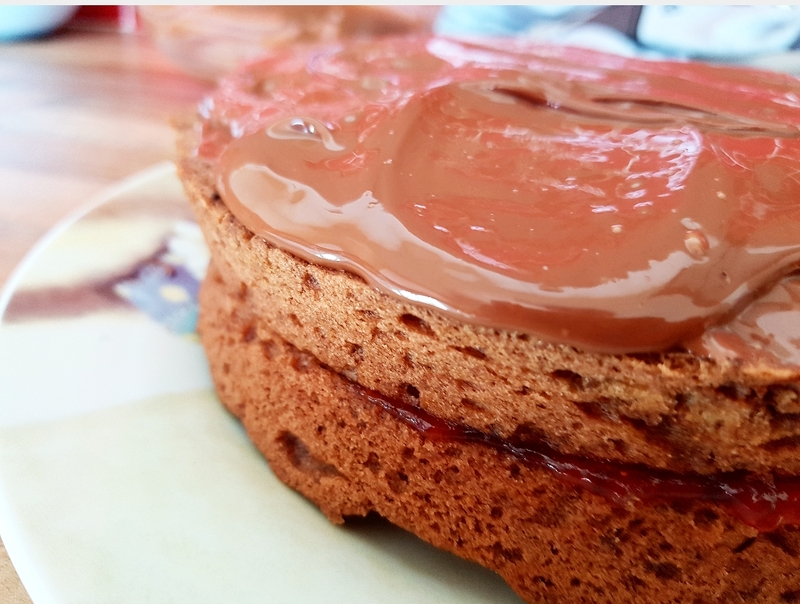 Today I bring you a delicious cake that has taken me absolutely ages to perfect. 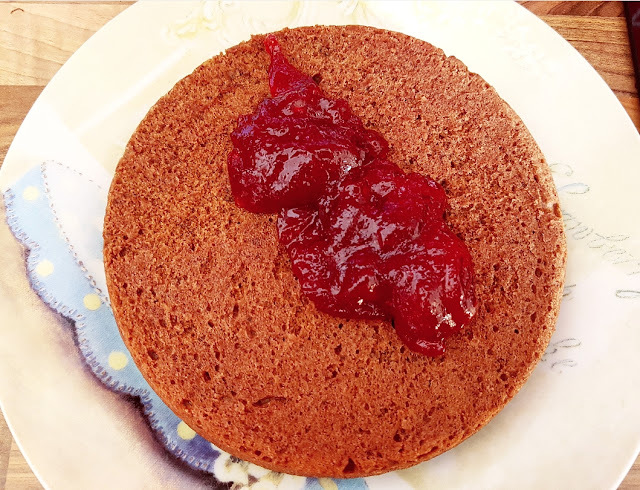 There are so many different recipes out there on the net for all manner of free from foods and vegan cakes are no exception...Except, that every single one I looked at had a bunch of different flours, or a load of raw ingredients not to mention all the different types of foods or products that you have to go through to make a decent egg replacement. I finally feel, after well over a year, I have found a recipe that whilst is still not as cheap to make as gluten and egg containing cake recipes, it works and is no where near as pricey as some of my previous experiments! 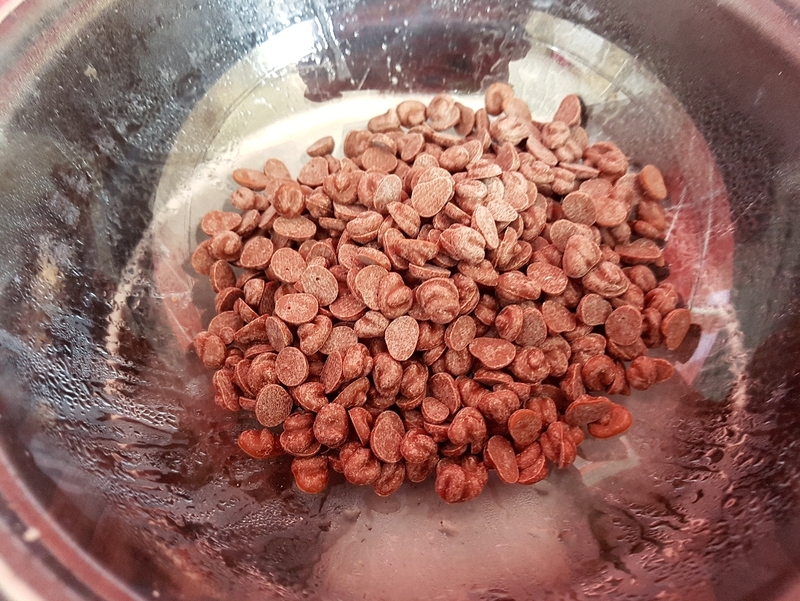 In this post I have used Moo Free baking chocolate drops which are available from all major supermarkets priced at £2.18 (Morrisons). 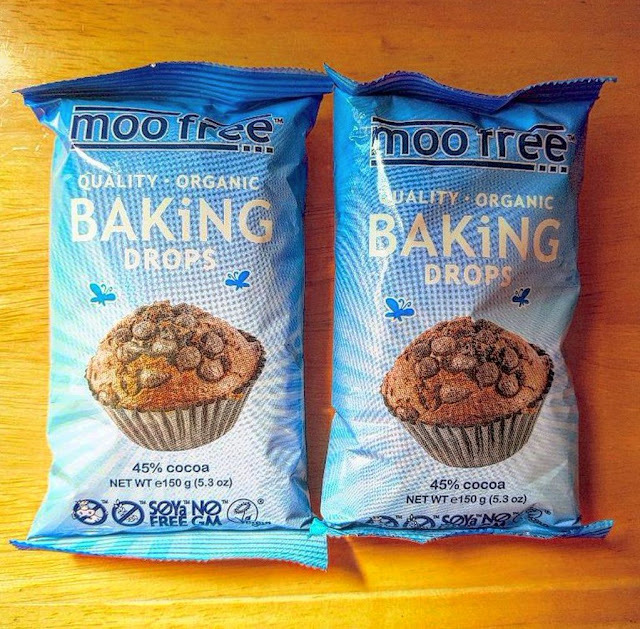 I was sent my packets free of charge to participate in Moo Free's Bake Along which is a nod towards the wonderful Bake Off that I'm very glad is back! 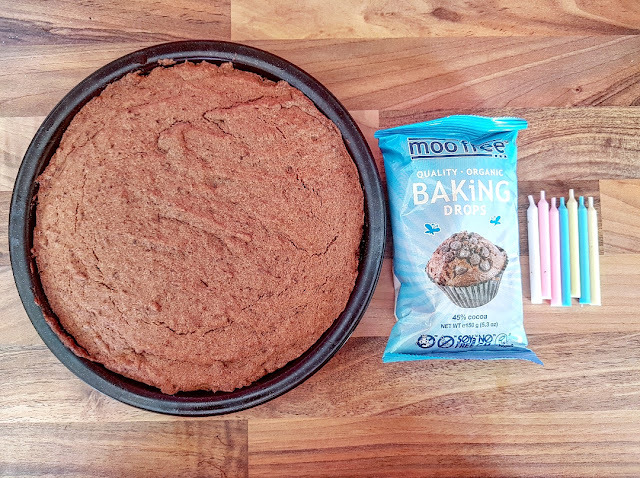 Moo Free chocolate is certified organic, GMO free and free from dairy, wheat, gluten, casein and soya making it ideal for my friends daughter's birthday! 2. Take 3 tablespoons of chia seed mix and put into a mug/small container. 6. Place in oven at a 180 temp for 20 minutes. 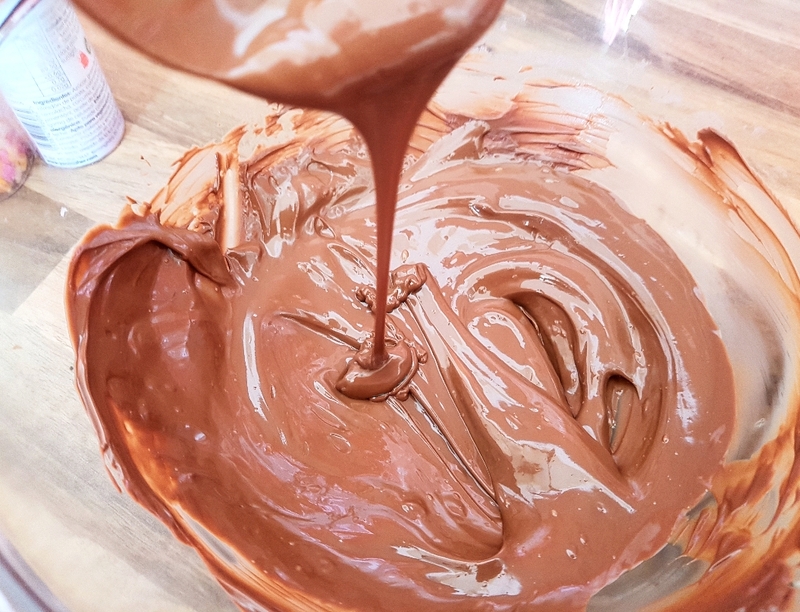 Your cake is done when there is no batter mix on the knife when placed in the center. If you think it needs longer but the top is done, place some foil on top to try and prevent burning. As my cakes cooled I took 1 packet of Moo Free Baking Drops and melted them in a bowl over some hot water in a pan until the mix was smooth. 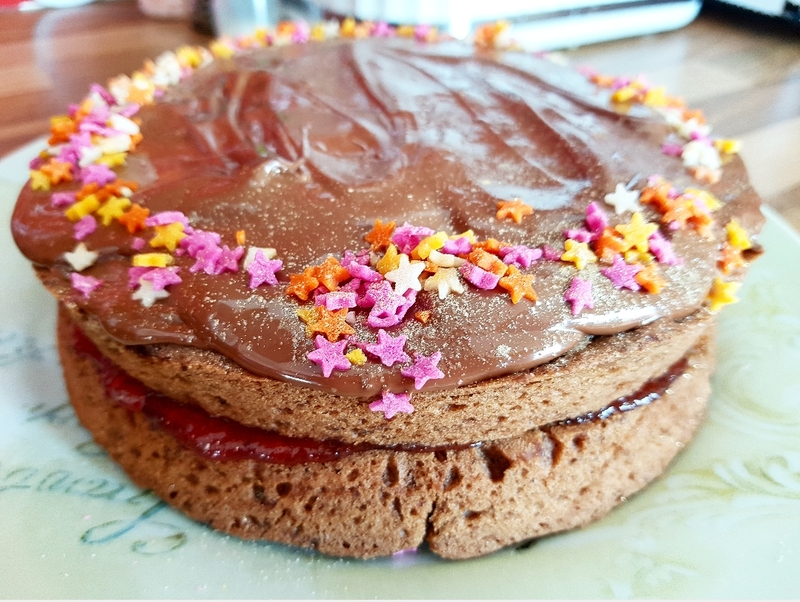 As the cake was for a birthday girl I jazzed it up with some edible gold dust and some sugar stars. This cake is light, pretty much like your non alternative cake and you can't taste the seed mix. 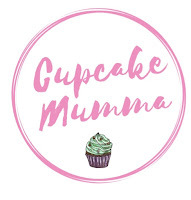 It's a big hit in the Cupcake House! What do you think? Do you fancy trying this vegan and gluten free cake out? I hope it works just as well for you as it did for me!